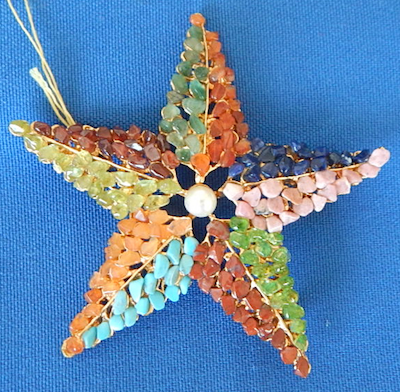 Swoboda Starfish with semi-precious stones (peridot, agate, jasper, jade, quartz, turquoise, citrine w/pearl 3" pin. Stunning. 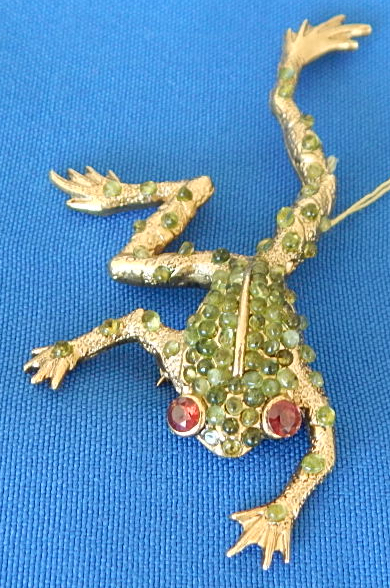 Swoboda peridot frog pin, measures 2" x 4", excellent condition. 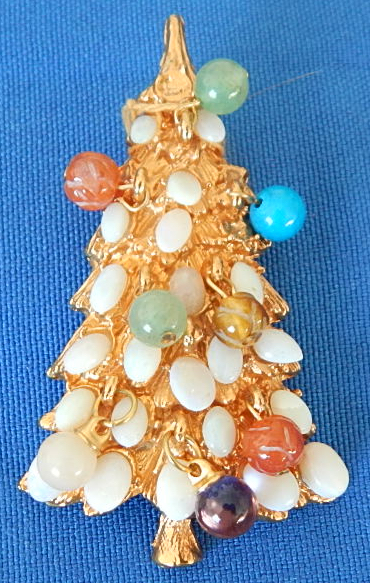 Swoboda Christmas Opal Tree with other stones pin. 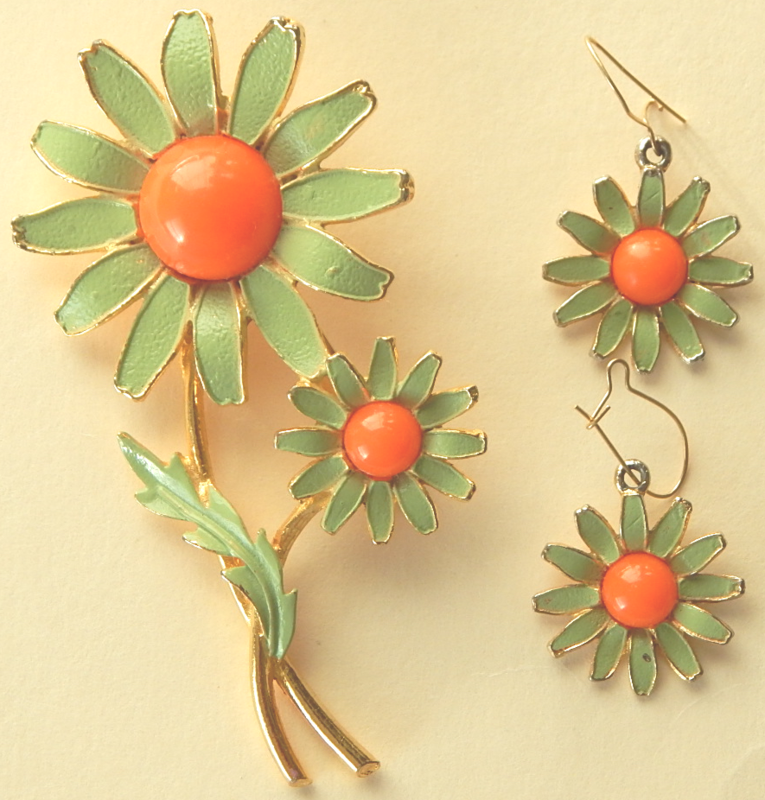 1 1/2" x 2 1/2". 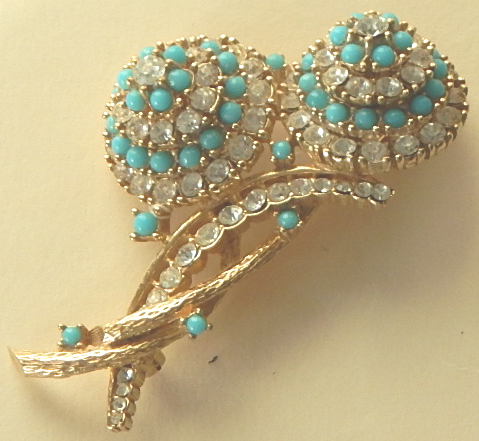 Lovely pin. 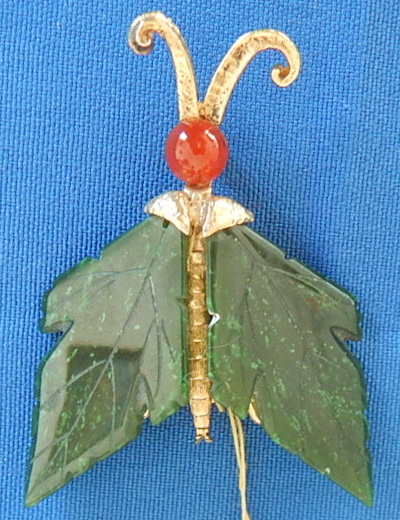 A stunning Swoboda Jade Winged Moth pin. 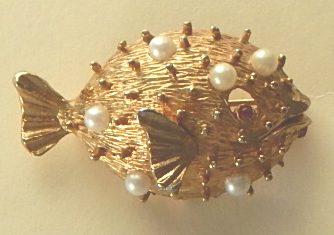 2" x 2 1/2". Favorite. 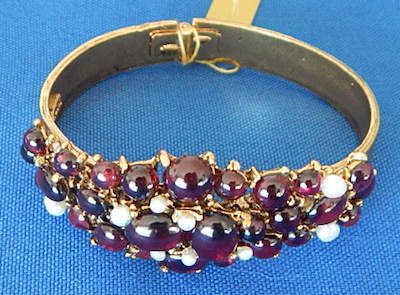 An outstanding garnet and pearl Swoboda bracelet. 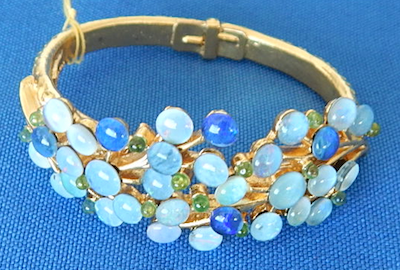 Measures 2 1/4" diameter. 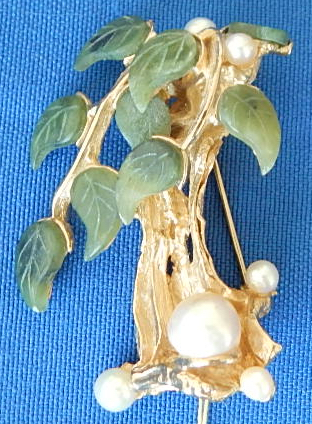 Swoboda Jade & Pearls tree pin. 1 1/2" x 2". 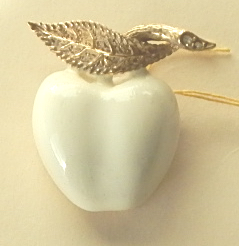 Great pin. 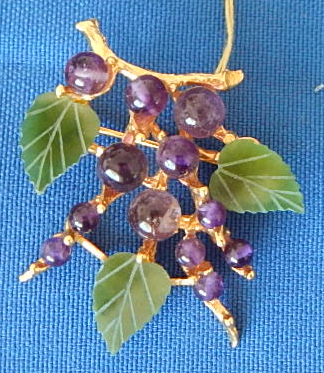 Swoboda Jade & Amethyst Grape pin. 1 1/2" x 1 1/2".